There is no limit on the number of pounds of batteries or aluminum cans, which are best brought pre-crushed in a plastic bag without any other materials, like tin cans. 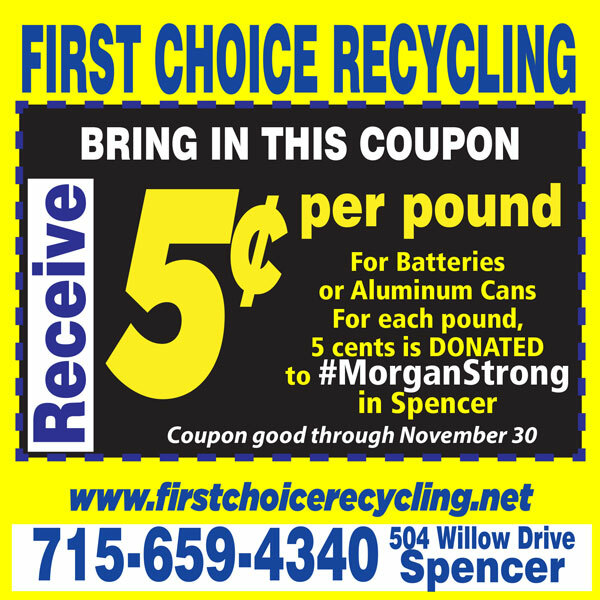 Cans can be dropped off at 1st Choice Recycling anytime during business hours between 8-5 p.m. Monday through Friday, or 8 a.m. – Noon on Saturday. 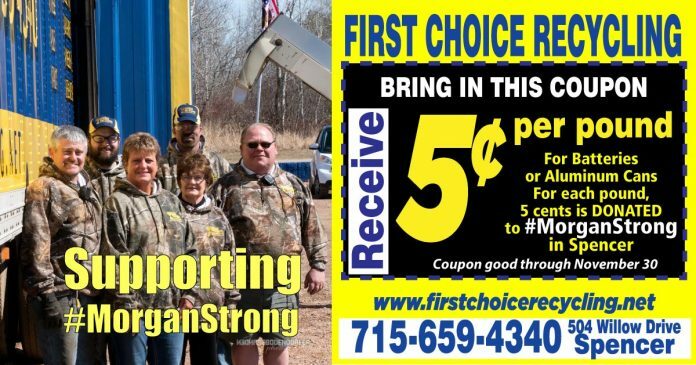 1st Choice Recycling is located at 504 E. Willow Drive. For information or details, give First Choice Recycling a call at 715-659-4340 during hours of operation.